[ 1 ] 刘艳新, 赵传山, 韩玲.影响石蜡乳化的因素 [ J] .造纸化学品,2004(4):30 -36. 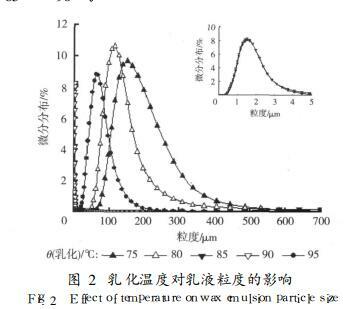 [ 2 ] LIUWEIRONG, SUNDEJUN, LICAIFU, etal.Formationandstabilityofparaffinoil-in-waternano-emulsionspreparedbytheemulsioninversionpointmethod[ J] .ColloidandInterfaceScience, 2006, 7(303):557-563. [ 3 ] 全红平, 黄志宇, 刘畅.高含蜡石蜡乳状液的研制及影响因素探讨[ J] .精细石油化工进展, 2007, 8(4):43-46. [ 4 ] 易华.乳化蜡的发展及应用前景[ J] .油气田地面工程, 2006, 25(6):58-59. 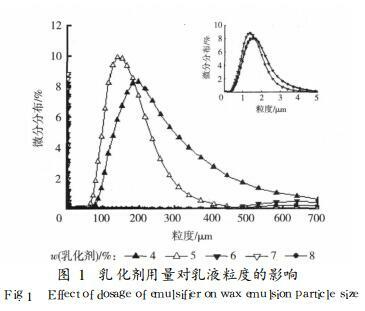 [ 5 ] 郭泽军, 李会鹏, 沈键, 等.非离子石蜡乳液的研究[ J] .化学工业与工程, 2008, 5(25):414-418. 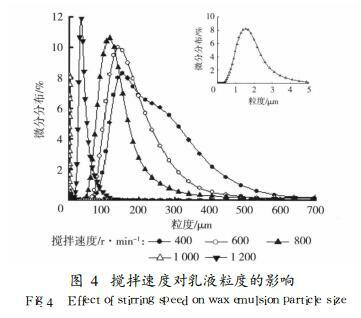 [ 6 ] CHERNCS, CHENYC.StabilityofthepolymenzablesurfactantstabilizedLatexparticleduringsemibatchemulsionpolymerization[J] .Colloid＆PolymerSci, 1997(2):124 -130. 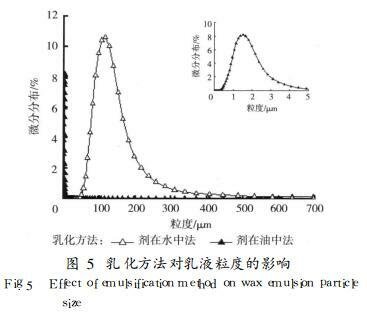 [ 7 ] BLACKLEYDC.Productionofcarboxylatedlaticsbyemulsionpolymerization[J] .ScienceandTechnologyofPolymerColloids, 1983(1):203 -219. [ 8 ] 陈树, 肖青, 陈洪民.阴离子改性硅油乳液的合成及其应用[ J] .江西化工, 2007, 3:91-93. [ 9 ] 沈本贤, 冯玉海, 高晋生.氧化石蜡微乳液的研制 [ J] .日用化学工业, 2002, 32(4):72-74. 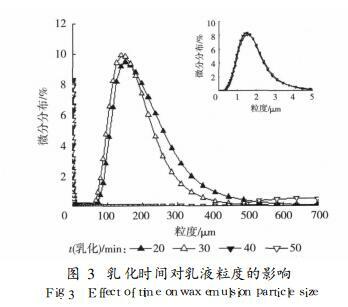 [ 10] 张小燕, 黄世强.有机硅微乳液的研究进展[ J] .高分子通报, 2006(5):52-57. [ 11] 刘起峰, 李文君, 何承涛, 等.木材加工用乳化蜡的研制试验[ J] .长江大学学报:自然科学版, 2006, 3(3):32-34. [ 12] 王万林, 史建公.国内乳化蜡的研究及应用进展 [ J] .精细石油化工, 2008, 25(2):79-83.